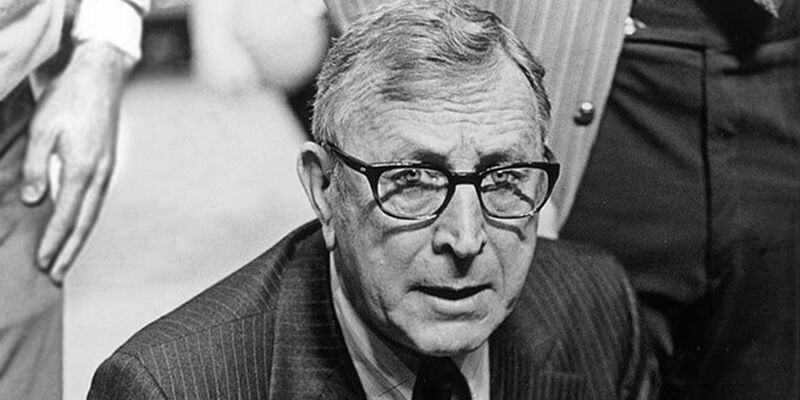 Coach John Wooden, former head coach of the UCLA Bruins, was a master at priorities—evidenced in how he approached basketball practice. He orchestrated every moment of practice and planned each activity with specific purposes in mind. He planned every drill, minute by minute, and had all the information written in a notebook before each practice. Wooden once said that if you asked him what his team was doing at three o’clock on a specific date in 1963, he could tell you specifically what drill he was running. Wooden always maintained his focus and helped his players do the same thing. He had a knack for addressing several priority areas at once so that his players were never sitting idly on the sideline during practice. Amazingly, Coach Wooden never scouted opposing teams because he wanted his players to focus on THEIR potential. His goal was never to win a championship or beat the other team. His overriding desire and priority was to get each person to play to their potential and to put the best team on the floor. And Wooden’s results speak loud and clear—he led his UCLA teams to four undefeated seasons and a record 10 NCAA championships! Living his priorities on a daily basis produced an astounding return on investment. Prioritizing is a vital skill for every leader, no matter what level you are currently at or what size team, company or organization you lead. But not every leader practices this discipline. Here are some reasons why. It’s easy to believe that if we are busy that we are achieving. But busyness doesn’t equal productivity. Activity does not necessarily mean accomplishment. Setting priorities requires that leaders think ahead on a continual basis, to know what’s important, to know what’s coming next and to see how everything relates to the overall vision. Plain and simple, that is a lot of hard work. Setting priorities causes us to get out of our comfort zone at the very least and sometimes we have to do things that are painful. I was recently at a John Maxwell Team international conference in Orlando, FL, where John brought up this important topic. He urged us to live by our priorities and to only do the things that moved us forward. Whoa! I, unfortunately, shook my head with a smirk on my face knowing that statement was true for me. How often I can get distracted doing things that are easier to accomplish which don’t move me forward in business or life—like organizing my office, spending too much time posting on my business page on Facebook, getting distracted with laundry or other responsibilities since I work from home a lot, or reading another leadership or personal development book instead of getting out and meeting people. It’s not to say those things are bad in and of themselves. In fact, all of those things are good but not what was best. If we want to make an ever-increasing impact in sport, business or life, we have to be aware of how we are utilizing our time so we can be as effective as we can possibly be—so we can be doing and giving our BEST. We are all responsible and accountable to someone for the work we do—professors, coaches, an employer, director, stockholders, board of directors, etc. We also have responsibility for important people in our lives like a boyfriend/girlfriend, spouse, children, and parents. The question to ask yourself is “What must I do that nobody else can or should do for me?” This list will get shorter the longer you live out this journey. If you’re doing something that isn’t necessary, eliminate it. If you’re doing something that is necessary but not required of you personally, delegate it. As a leader, you need to be spending the bulk of your time working in your areas of greatest strength. You still need to get out of your comfort zone, but stay within your strength zone. Just because you can do it, doesn’t mean you should do it. That is a tough one for leaders. A suggested rule of thumb is if what you’re doing can be done 80 percent as well by someone else, delegate it. Or develop and train someone who could handle it for you. Remember that activity is not necessarily accomplishment, so don’t get bogged down doing things others could be doing instead. This frees you up to lead in the ways you are best equipped. So, what can you let go of today? This question relates to personal satisfaction. What are the things you love to do? I love to exercise, eat healthy, spend time with friends and family, grow in my faith, build into the lives of women personally and spiritually, and empower athletes to lead and live intentionally as a total athlete. I will always make time for these things. Prioritize the things you love to do in your schedule because it will energize you and fuel you to be fully engaged and giving your best. For those of you who remember the “What Would Jesus Do” (WWJD) bracelets, it was a movement that began back in 1989 and lasted throughout the ‘90s. When faced with different decisions throughout your day, the WWJD bracelet was a tangible reminder to cause you to stop and ask yourself that question. It impacted how you moved forward. The concept, at its core, was all about Jesus living out His priorities. He knew what His priorities were, and His life and ministry were a living example of that. He didn’t get distracted by things that were not in alignment with His mission or by the attempts of those who wanted to trip Him up. He came to serve and not be served. He came to seek and save the lost. He came to glorify His Father. He loved. He healed. He restored. He forgave. He taught. He transformed lives from the inside out. He took time to be alone and pray. He deeply invested in His disciples to follow His example. Jesus lived and breathed His priorities. And the world has been forever changed as a result. Once you’ve answered these questions, make a list of things that don’t fit into one of the three R’s. Delegate or eliminate those things. As a leader, it’s important to remember you need to help your teammates be successful. How are you helping your team live according to the Law of Priorities? How are you prioritizing and thinking ahead for your area of responsibility? From a faith perspective, what are your priorities? (This does not necessarily mean a list of “to dos.”) How are you living them out?